The drama surrounding Tesla continues to unfold as recently discovered court documents show that the debatably legitimate electric automaker is being sued by Magna Powertrain. 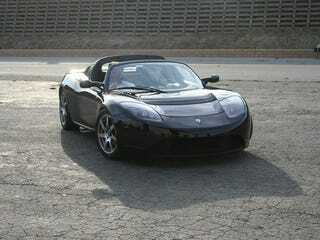 The lawsuit dates back to February 22 and states that Tesla failed to pay Magna for design of the two-speed transmission used in the Tesla Roadster. The story does have bit of he-said, she-said, unfortunately. Tesla originally contacted Magna to design and build a total of 4,300 transmissions over a three-year span for the code-name Dark Star and 40,000 transmissions for the White Star. In March 2007, Tesla signed a "Development Agreement and a Statement of Work." Magna shipped the first prototype transmission to Tesla in July along with a note saying the first target production date of September would not be met. This is where it gets messy. Tesla went and hooked up with Xtrac for transmission work and told Magna is transfer all design and development documentation to them. Magna says it got canned out of nowhere and was unaware of Tesla's unhappiness with its work.